Just kidding, we won’t detail recipes which have already gone round the world. However, Italy remains THE “pasta nation”. Here is a recipe based on pasta, which was surprisingly kept in Italy : Ricotta Cannelloni, a deliciously simple recipe, tested and approved by Ride the Flavour. 1) Wash and slice the basil. 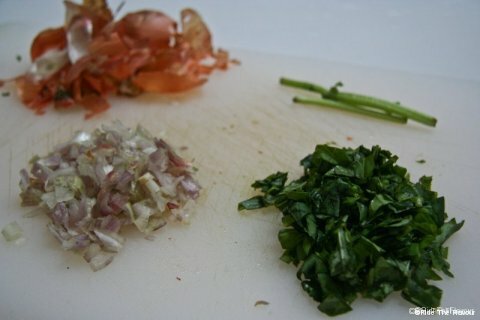 2) Peel and slice thinly the shallot. 3) Brown the pine kernels in a frying pan, without adding fat. 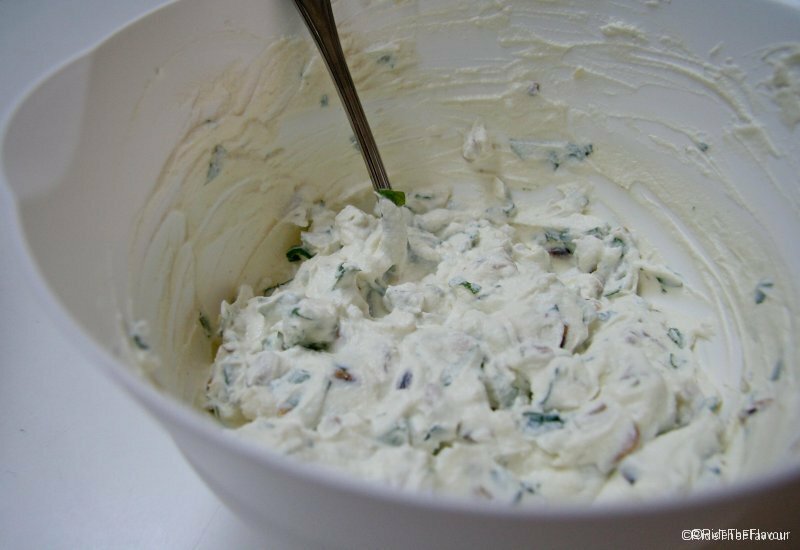 4) Crush the ricotta with a fork and add the basil, the shallot, the pine kernels and 4 tbsp olive oil, salt and pepper. 5) Deep the fresh lasagne sheets in boiling water during 5-6 minutes. 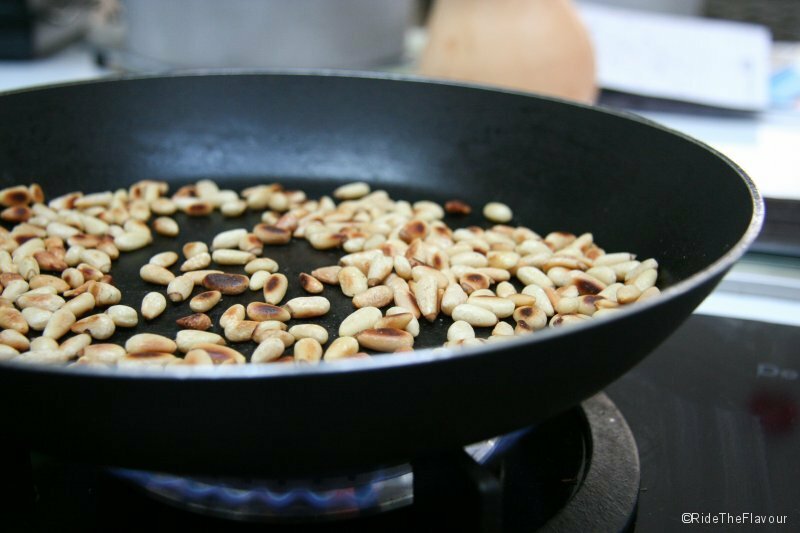 We advise you to deep them one by one, while doing the previous steps : if you put the 8 of them in the pan at the same time, they will stick to each other, and they will be pretty hard to separate (yes, we experienced it ^^). 6) Fill the lasagne sheets with the ricotta stuffing and roll. 7) Place the cannelloni on a oven proof plate. Pour some water and 2 tbsp olive oil on them. 8) Bake it in the oven during 20 minutes at 180°C. 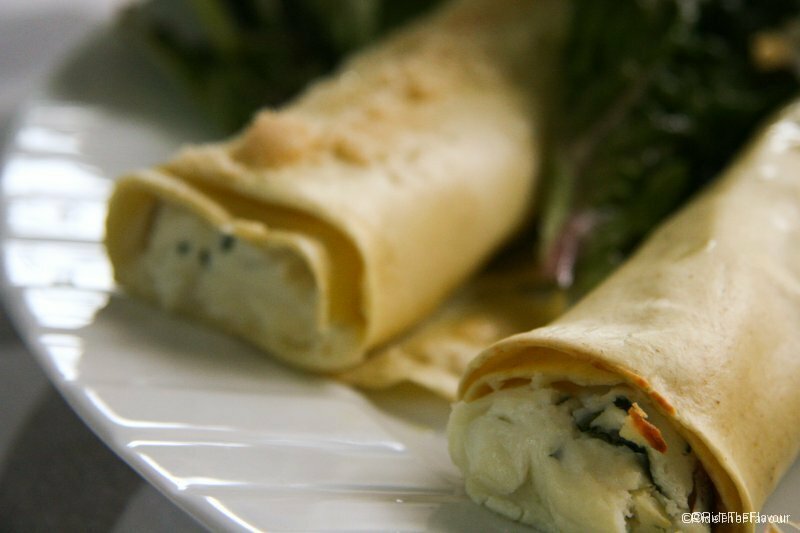 Your ricotta cannelloni are ready to be served! They will go perfectely with a tomato sauce with mushrooms. PS: we also prepared a second kind of cannelloni, which are at least as good as these ones… Asparagus Cannelloni with Parmesan Cheese. The recipe is coming soon!